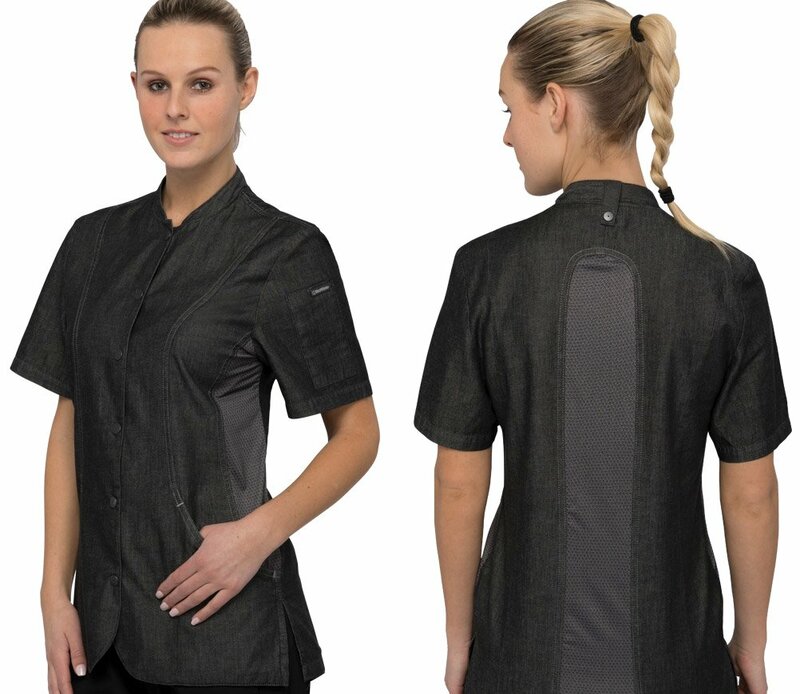 The Womens Chelsea Chef Coat comes in black 100% cotton denim. 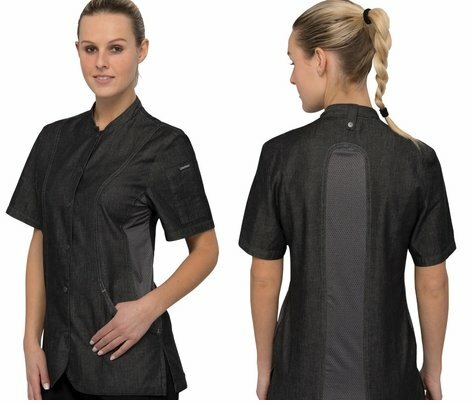 Stretch fabric side panels as well as a stretch panel on the back this womens chef coat is designed to move with you. 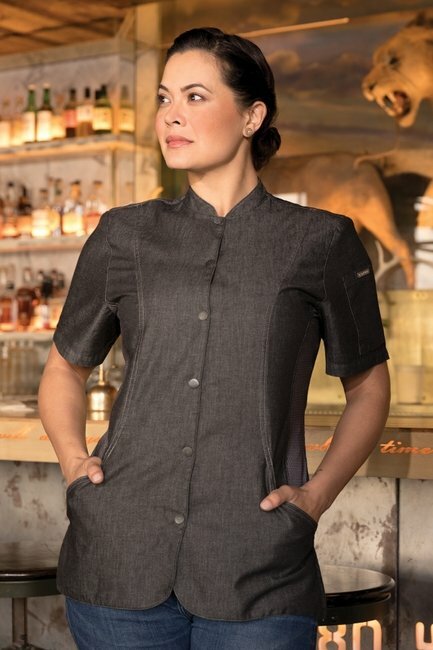 The single breasted front and side seam slits give the coat a slim and modern tailored feminine fit and look. Make it your own! Personalize this coat with embroidery, simply click the checkbox next to Embroidery $5 per Line. Please allow 5-7 business days for customization.